Below are some rules I wrote up to run Viking seafarers in the HMS Apollyon setting to run some one shots of a few new areas. A friend ran a game at NTRPG Con using these rules and related WWII Commando Character Generation Rules and reported success. I think they make a nice enough distillation of my current rule system and provide a nice means of character generation. 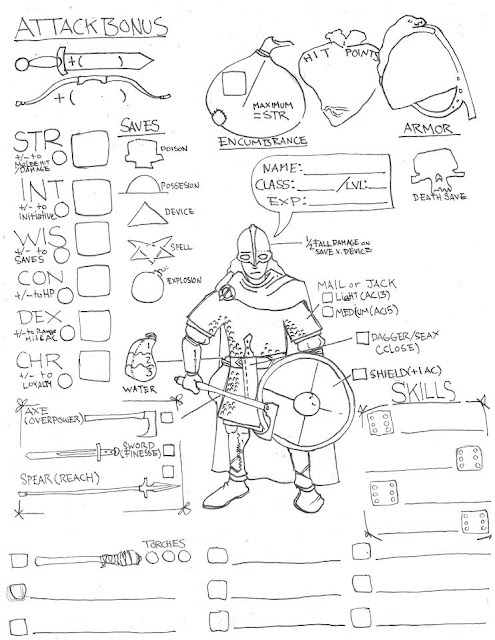 A Character sheet is also included. For further explanations of rules and things you might find this Players Guide for Combat and Exploration helpful as well. The Karve was a ghostly shape in the sea mist when Thorgest the Foul and his men reached the black pebble beach, and his screaming red face was the last you saw of the cold fjords at Hornstrandir as the clansfolk who had survived the hall burning rowed hard into the tide. 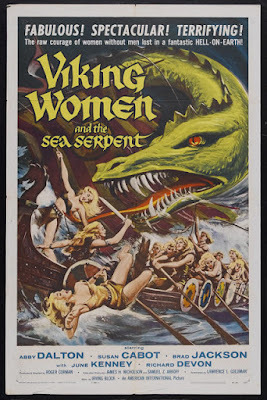 Rowing West and South you intended on reaching Reykjavík or Ireland for supplies. The sea had different plans, and after three days of storm, buffeted by waves and lashed by rain, the Karve was far to the West, beyond the known sea, and the supplies already stretched. You’ve sailed now for a week more, two men dead from wounds gone rotten, another lost over the side, and even with the storm the water is almost gone again. Doldrums, a crew too exhausted and hungry to row more than a few hours and no sun to act as a guide in the heavy fog seem to have written a grim end for you and your people. But the fog breaks, orange light trickles in and in the near distance a cliff of metal looms. A cliff that seems to float like a great ship, sides encrusted with shell and trailing weed, but beneath black plates, smooth like the toenails of dead giants. It is Naglfar, but there are no choices - go aboard and be damned or die of thirst and sink into Hel.